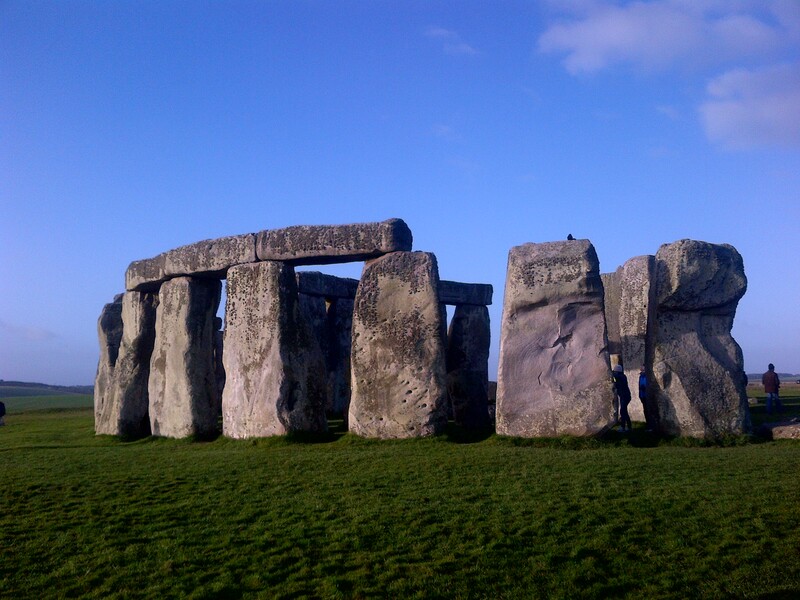 Researchers have uncovered in west Wales, another major source of one of the bluestone types found at Stonehenge. 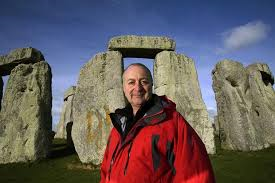 Experts have argued that the large sarsen stones at Stonehenge are local to the Salisbury Plain area. However, the origin of the smaller bluestones has been the topic of research for many years, although there has been little refinement of the research conducted by geologist Herbert Henry Thomas in 1923 about their original sources. The new paper by Dr Richard Bevins (Amgueddfa Cymru – National Museum Wales), Dr Rob Ixer (Institute of Archaeology, UCL) and Professor Nick Pearce (Aberystwyth University), will soon be published in the Journal of Archaeological Science. In 2011, Bevins and Ixer confirmed for the first time the exact location of some of the bluestones known as rhyolites (a type of silica-rich igneous rock). Their research identified the source of the stone to the prominent outcrop of Craig Rhos y Felin near Crymych, Pembrokeshire. Now – along with Pearce – they are confident of the location of another major type of bluestone – the spotted dolerite (a type of relatively silica-poor igneous rock containing distinctive alteration spots). H.H. Thomas from the Geological Survey published a paper in The Antiquaries Journal in which he claimed to have sourced the spotted dolerite component of the Bluestones to hilltop rock outcrops, exposed in the high Preseli, to the west of Crymych in west Wales. Specifically, he thought that the tors on Carn Meini and Cerrig Marchogion were the likely source outcrops. He went on to speculate about how humans had transported the stones to the Salisbury Plain, favouring transport across land rather than a combined land and sea journey. As a result of Thomas’s views recent archaeological excavations have concentrated on finding Stonehenge-related quarries at Carn Meini. Using geochemical techniques, Bevins, Ixer and Pearce have compared samples of rock and debris from Stonehenge with Thomas’s findings and also geochemical data published in the early 1990’s by Richard Thorpe and his team from the Open University. The current findings conclude that the majority of the spotted dolerites analysed actually come from Carn Goedog which is about 1.5km away from Thomas’s originally proposed site of Carn Meini. “When the first part of our research was announced in 2011, we communicated our commitment to continue to work in the area and we have added to that initial work with papers in 2012 and 2013. I am very pleased that we have continued to revisit the area and be able to further study the standing stones and debris from Stonehenge! “The geology of Pembrokeshire is unique, which is why I have spent so much time in the area. The area has much to offer in helping us understand what happens when magma is erupted from underwater volcanoes, and how those igneous rocks are transformed by the effects of increased temperatures and pressures during later mountain building events. Equally interesting of course is the fact that these igneous rocks have been used in the construction of Stonehenge and only once we know their correct geographical origins can we fully interpret the archaeological significance. Avebury to Stonehenge. Walking Through History with Tony Robinson. Tony heads off for a 45-mile walk across Wiltshire to tell the story of life and death in the last centuries of the Stone Age. His route over chalk downlands and Salisbury plain takes him through the greatest concentration of prehistoric sites in Europe. From Avebury to Stonehenge and from spirituality to engineering, this is a journey through our ancestors’ remarkable development in the latter days of the Neolithic Age. Windmill Hill near Avebury is the start of his route; with earthworks dating to 4500BC, it’s one of the most ancient sites in Wiltshire. From here, Tony moves on through 2000 years of the ‘New Stone Age’, encountering increasingly complex burial sites and processional routes that have helped make this area both captivating and intriguing. Latest Research and Theories About the World’s Most Famous Standing Stones. Stonehenge. It stands on Salisbury Plain, massive, isolated and mysterious. People have been trying to fathom the meaning and history of the UK’s – and probably the world’s – most impressive and important standing stones for at least 800 years. His questions – how was Stonehenge built, why was its location chosen and by whom – have puzzled generations of writers, researchers and visitors. Now, in the first decades of the 21st century, archaeologists are beginning to come up with some new answers – as well as a lot of new questions. How Was Stonehenge Built and By Whom? One of the great mysteries of Stonehenge is its actual creation. Some of its heaviest stones, the blue stones that make up the lintels, come from hundreds of miles away in the Preseli Hills of Wales. How were they transported by a society that did not use the wheel? And calling the monument “the most architecturally sophisticated prehistoric stone circle in the world,” English Heritage points out that while other Neolithic stone monuments were essentially piles of natural stones and boulders, Stonehenge is made of dressed stones, fitted together with precise mortise and tenon joints. When all the lintel stones of the outer circle were in place, they formed a perfectly horizontal, interlocking circle, even though the monument stands on sloping ground. Early writers have theorized the monument was built by Romans – Inigo Jones thought no earlier people had enough engineering skill. In about 1136, Geoffrey of Monmouth in his history of Britain placed it in the heart of Arthurian legends and suggested that Merlin had a hand in building it. There are stories of Merlin flying the bluestones from Wales and levitating them to the top of the monument. And of course, there are plenty of stories of alien involvement. Current theories are equally impressive though more down to earth. For ten years, in the Stonehenge Riverside Project, teams of archaeologists from the universities of Sheffield, Manchester, Southampton and Bournemouth, along with University College London, have been studying the monument and the surrounding landscape. They suggest that it was built as a unification project between farming tribes of East and West Britons who, between 3,000 BC and 2,500 BC, shared a common culture. Professor Mike Parker Pearson of the University of Sheffield, author of Stonehenge: A New Understanding, explains, “there was a growing island-wide culture – the same styles of houses, pottery and other material forms were used from Orkney to the south coast…Stonehenge itself was a massive undertaking, requiring the labour of thousands… Just the work itself, requiring everyone literally to pull together, would have been an act of unification.” (Buy Prof. Pearson’s Book Direct). In fact, a settlement being excavated about two miles northeast of the monument, Durrington Walls, indicates as many as 1,000 houses and 4,000 people from all over Britain took part in the building of Stonehenge. And this was at a time when the estimated population of the entire country was about 10,000. The village of builders was probably the largest Neolithic village in Europe. So the manpower to undertake so much plain hard work was there. The stones were moved from Wales, via sledges and by boat, not by dark arts or secret sciences. Though the level of organization required at such an early period, is rather amazing. Of course, that’s just the latest theory about the origin of the stones. Another idea is that the Preseli bluestones were carried to the Salisbury landscape by Ice Age glaciers and were found naturally littering the plain when Stonehenge’s builders walked the earth. The common wisdom has been that the monument is about 5,000 years old and was built in several stages over a period of 500 years. In fact, much of the main building of Stonehenge, visible today, was probably built within that time frame. But the use of the Stonehenge site for important, and probably ritual purposes goes back much further – perhaps as long ago as 8,000 to 10,000 years. Excavations around the monument’s parking area in the 1960s and then again in the 1980s found pits that held wooden posts planted between 8500BC and 7000BC. It’s not clear whether these are directly related to Stonehenge but what is becoming more evident is that the landscape of Salisbury Plain was important to early Britons for many thousands of years. Nice big landing place for spaceships perhaps? Not very likely. What is more probable is that the landscape chose itself. Ancient Britain was covered by forests. A large open space, thousand of acres of chalk grassland, would have been rare and special. I can tell you myself, that even today, driving across Salisbury plain at in the dark, its mysterious earthworks looming blank against a starry sky, can be a transcendant, almost supernatural experience. Then, there is the matter of the lines. No not ley lines. Aerial photography, excavations and geophysical surveys have revealed grooves – known as periglacial stripes – that run parallel to the Avenue at the Stonehenge site and coincidentally line up with the axis of the solstice. It is possible that the farming people who settled the area and who closely observed seasonal signs noticed the alignment of these natural geological features and chose the site and position of Stonehenge because of them. That certainly was the conclusion reached by Prof. Pearson’s group. He said, “When we stumbled across this extraordinary natural arrangement of the sun’s path being marked in the land, we realized that prehistoric people selected this place to build Stonehenge because of its pre-ordained significance…Perhaps they saw this place as the centre of the world”. Was the Summer Solstice Important to Ancient People? Every year, Wiccans, Neo Pagans, New Agers and curious tourists flock to Stonehenge for the summer solstice. It is the only time that visitors are allowed to camp out around the site and spend all night waiting for dawn. But findings at Durrington Walls suggest that midwinter, not midsummer was the most important and the time for rituals and feasting. Scientists have been able to date pigs teeth found at the site and say that they were slaughtered and consumed in winter, not summer. Most of the other monuments in the Stonehenge area are aligned to midwinter sunrise and sunset. That theory makes even more sense when you consider the fire festivals and observances of midwinter all over Northern Europe. Take your pick: Druid worship, burials, harvest festivals, animal sacrifices, solstice celebrations, communal rituals, a healing center, a farming calendar, a defensive earthwork, a signal to the gods, an alien landing strip. There are dozens of theories about what Stonehenge was used for. And over the years, archaeological excavations have found evidence of most of theses activities (except aliens – so far). The discovery of at least 150 burials in the area is a relatively recent finding, for example. Visit Salisbury, Stonehenge and its landscape with a local expert guide and hear all the latest theories about this mysterious monument. The Stonehenge Travel Company, Salisbury. Salisbury Cathedral, home to the finest of the four surviving original 1215 Magna Carta, will be taking a leading role in the 2015 celebrations marking the 800th anniversary of the historic and iconic document the legacy of which has been its enduring global influence. Magna Carta’s clauses on social justice form the cornerstone of modern democracy and liberty worldwide and are as pertinent today as they were 800 years ago. Plans for further celebrations are underway, and aim to include a lecture series chaired by the Dean of Salisbury featuring international speakers exploring topics inspired by Magna Carta. The Cathedral also has ambitions to present a Medieval Fair for all the family, a pageant involving hundreds of local people, a special concert, a Celebratory Eucharist and a week-long flower festival, as well as other events. Alongside this activity, the Cathedral’s education department will work closely with schools throughout the year to deliver curriculum-focused programmes supporting citizenship and history. Salisbury Cathedral is working closely with partners to deliver its ambitious programme, these include: The British Library, Diocese of Salisbury, Lincoln Cathedral, Magna Carta 800th Committee/ Magna Carta Trust, Wiltshire Council, Dorset County Council, Salisbury City Council, Visit Wiltshire, UNESCO, and AGEAS Salisbury International Arts Festival. Sundays: all year, 12.45pm – 4.30pm.